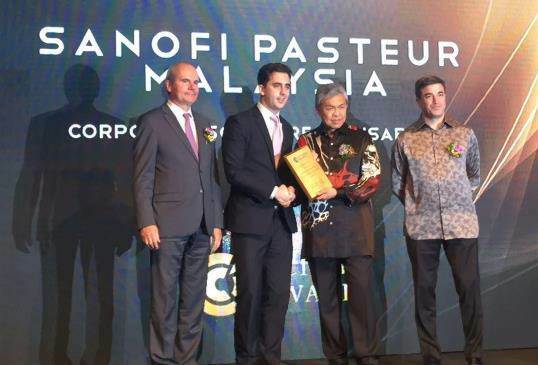 Sanofi Pasteur Malaysia walked home a winner at the Malaysian French Chamber of Commerce and Industry (CCIFM) 26th Gala Dinner in Grand Hyatt uala Lumpur recently. The dinner was attended by Guest of Honor Deputy Minister YAB Dato’ Seri Dr. Ahmad Zahid Hamidi where he was showcased the dynamism of the Malaysian-French Business Community and its contribution towards the development of the country. 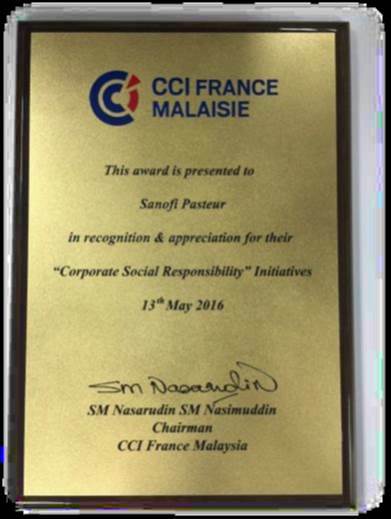 5 winners of the CCIFM Excellence Award 2016 were announced during the dinner and Sanofi Pasteur won the Corporate Social Responsibility Award for our the Dengue Patrol initiative. Other award categories in the CCIFM Excellence Award included the Outstanding Achievement for large companies, Outstanding Achievement for SMEs, Image of France and the France-Malaysia Smart Partnership. Dengue Patrol Program’s objective is to encourage students to become educators and advocators of dengue prevention among their peers and family. 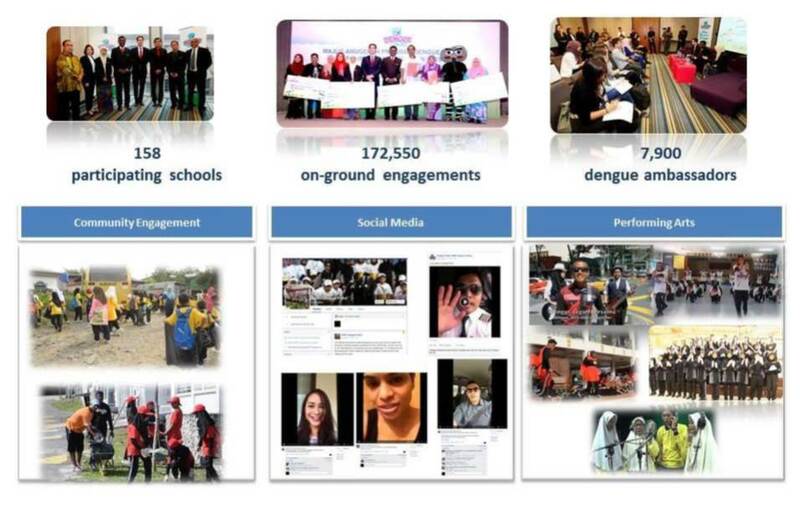 Since its inception in 2011, the Dengue Patrol programme has grown from just three primary schools with 100 dengue patrollers, to 158 primary and secondary schools with 7,900 dengue patrollers. 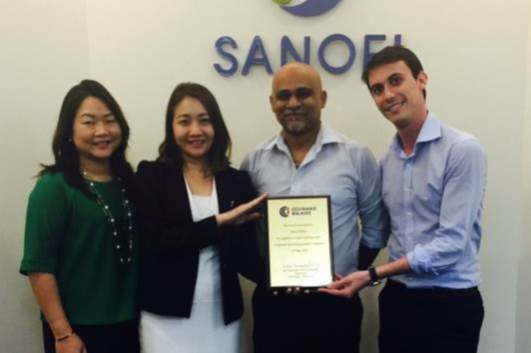 In just 6 weeks, the Dengue Ambassadors were able to engage more than 200,000 people.